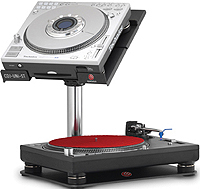 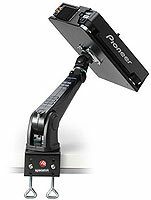 Compatible with most DJ CD Players, Effects Processors, Laptops and DJ Mixers - The universal mounting bracket features a sliding clamp which securely locks your equipment into position. 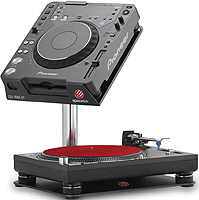 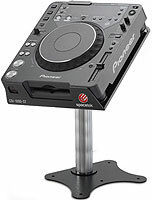 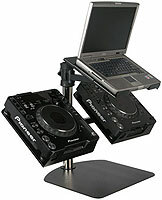 For the Pioneer CDJ1000's, Easy to assemble and customize with its adjustable height and strong robotic-like support arm. 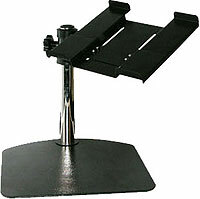 This universal version has adjustable depth support for your laptops, most tabletop CD players, effects units, and other pro gears. 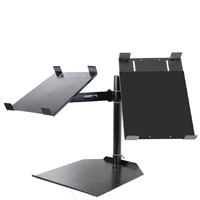 Easy to assemble and customize with its adjustable height and strong robotic-like support arm. 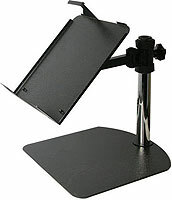 Available in silver, red and blue. 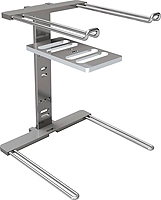 The UberStand features a secure top-shelf for a laptop and a smaller shelf underneath sized to hold an interface or scratch-amp.